From a small 2-person company producing refrigerated coolers for dairy farm milk cans in 1938 to a major refrigeration equipment manufacturer with diverse product lines, Master-Bilt has a history of quality and dependability. Master-Bilt's open-air merchandisers, reach in display cases, ice cream dipping cabinets, and walk-in coolers and freezers are considered top-of-the-line refrigeration. 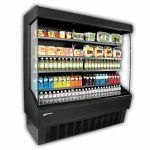 Consider a Master-Bilt refrigeration equipment for your restaurant, grocery store, convenience store or any other location where refrigerated product needs to be stored, displayed and quickly accessible to customers. Master-Bilt BLG-27-HGP Bottom Mounted Full-Height Swing Glass Door Freezer Merchandiser 30" 25 Cu. Ft.
Master-Bilt MSF-31AN Flat Lid Display Freezer - 7.5 Cu. Ft.
Master-Bilt MSF-71AN Flat Lid Display Freezer - 20.0 Cu. Ft.
Master-Bilt DC-2S White Ice Cream Dipping Cabinet 5.2 cu. ft.
Master-Bilt MBGFP23-HG Bottom Mounted Swing Glass Door Freezer Merchandiser With Lighted Sign, 22.1 Cu. Ft.
Master-Bilt BMG-27-HGP Bottom Mounted Full-Height Swing Glass Door Refrigerated Merchandiser 30" 25 Cu. 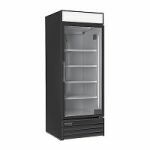 Ft.
Master-Bilt BMG-23-HGP Bottom Mounted Full-Height Swing Glass Door Refrigerated Merchandiser 27" 22.1 Cu. 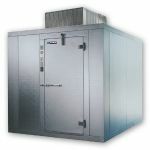 Ft.
Master-Bilt DC-10DSE Stainless Steel Ice Cream Dipping Cabinet 22 cu. ft.
Master-Bilt DD-26CG Ice Cream Dipping Cabinet with Curved Glass - 3.5 Cu. Ft.
Master-Bilt FLR-60 Flavorail Ice Cream Dipping Cabinet - 12.5 Cu. Ft.
Master-Bilt MB5720406CIX Self-Contained Floorless Indoor Walk-In Cooler - 3' 11" x 5' 10" x 7' 2"
Master-Bilt MB5761010COX Self-Contained Outdoor Walk-In Cooler with Floor - 9' 8" x 9' 8" x 7' 6"
Master-Bilt MB5761014CIX Self-Contained Indoor Walk-In Cooler with Floor - 9' 8" x 13' 6" x 7' 6"
Master-Bilt MB5761014COX Self-Contained Outdoor Walk-In Cooler with Floor - 9' 8" x 13' 6" x 7' 6"
Master-Bilt MB5760606FIX Self-Contained Indoor Walk-In Freezer with Floor - 5' 10" x 5' 10" x 7' 6"
Master-Bilt MB5760606FOX Self-Contained Outdoor Walk-In Freezer with Floor - 5' 10" x 5' 10" x 7' 6"
Master-Bilt MB5761010FIHDX Heavy Duty Self-Contained Indoor Walk-In Freezer with Floor - 9' 8" x 9' 8" x 7' 6"
Master-Bilt MB5760406FIHDX Heavy Duty Self-Contained Indoor Walk-In Freezer with Floor - 3' 11" x 5' 10" x 7' 6"